Hello SoBe Seafood Fest Seafood Lovers! Jamie Knee here from What is Up Miami. I’m excited to take you “In The Kitchen” with Wynwood’s newest hot spot. As a Miami Lifestyle Blogger and Foodie; I know what makes Miami special. Most importantly, I do my research so I can find Miami’s best food! 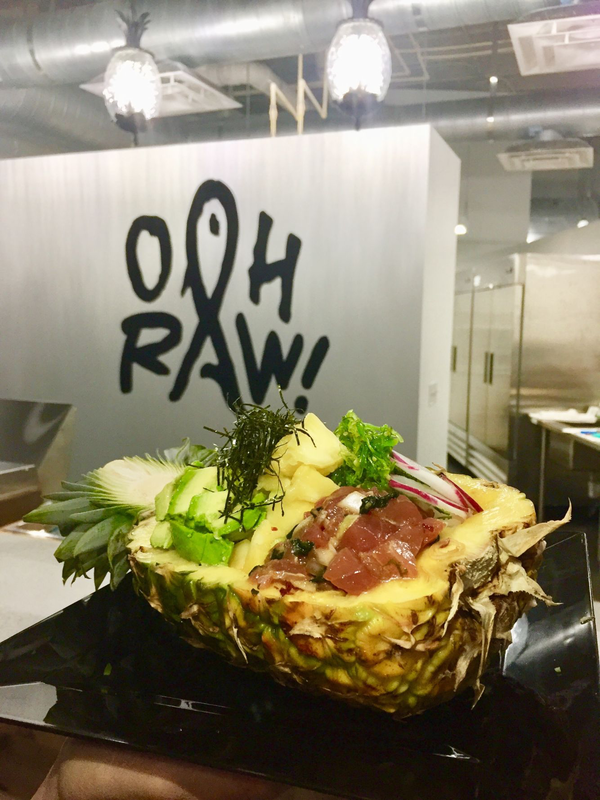 I’m here to tell about the best new pokè this side of the Hawaiian Islands: Ooh Raw! Pokè and Juice Bar. Let me tell you, the food fabulous! This is definitely going to be your new favorite hangout. I’m especially excited to enjoy they’re flavorful cuisine on the sand at Sobe Seafood Fest on October 20th! Ooh Raw! Pokè and Juice Bar is run by Chef Dustin Atoigue, the 2016 Battle Shrimp Chef Showdown Champion. The award-winning chef and his business partner Michael Cerda have created my new favorite go-to spot. We sat down with them to learn more about how they brought the concept to life and what they’re doing at Miami’s best festival in 2018. 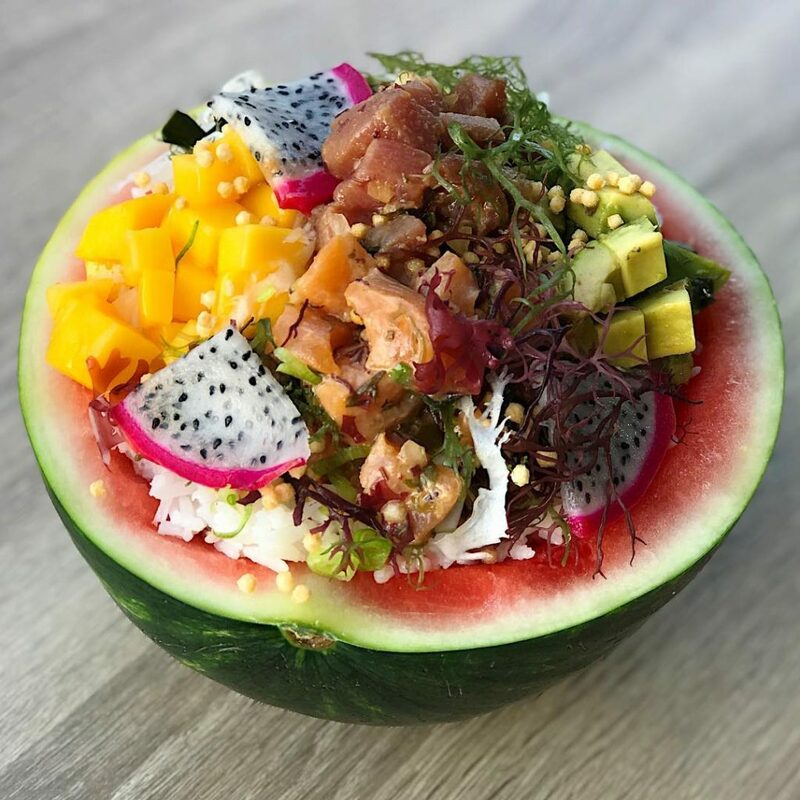 What Is Up Miami: We first tasted your pokè bowl last year at the SoBe Seafood Fest and immediately fell in love! We have been anticipating your opening for the entire last year. What makes your pokè head and shoulders above the rest? Ooh Raw! Dustin: Well as a Pacific Islander I grew up making pokè and helping my grandmother in the kitchen. Then I was trained by Hawaiian Chef Sam Choy where I would make hundreds of pounds seafood in the traditional Hawaiian style. I make mine with Hawaiian seaweed, which is not used here in Miami. I focus on authentic Hawaiian style cuisine. WIUM: How did you make your way to Miami from the Pacific Islands? Ooh Raw! Dustin: I first started in Hawaii and then worked in Los Angeles and Las Vegas for a while. When I finally made the move to Miami, I worked at the Delano. Then, I was offered the Head Chef position at the Mondrian South Beach. Ooh Raw! Michael: I tasted Chef Dustin’s pokè bowl at the Mondrian and approached him about going into business together. Coming from Los Angeles, I recognized this was something unique. It was the best pokè I had tasted in Miami and nobody else was doing anything like it. WIUM: You gave your new restaurant a fun tropical vibe. Your presentation is so unique and beautiful! The pokè in a pineapple is almost too pretty to eat. The atmosphere is one where people will want to hang out and spend time unwinding. It seems that a lot of thought went into your design and menu. Also, your presentation is so unique and beautiful. Tell us about that. Ooh Raw! Micheal: Yes, our menu was tasted and tested by family and friends for the last year. Our concept is different than any place around. 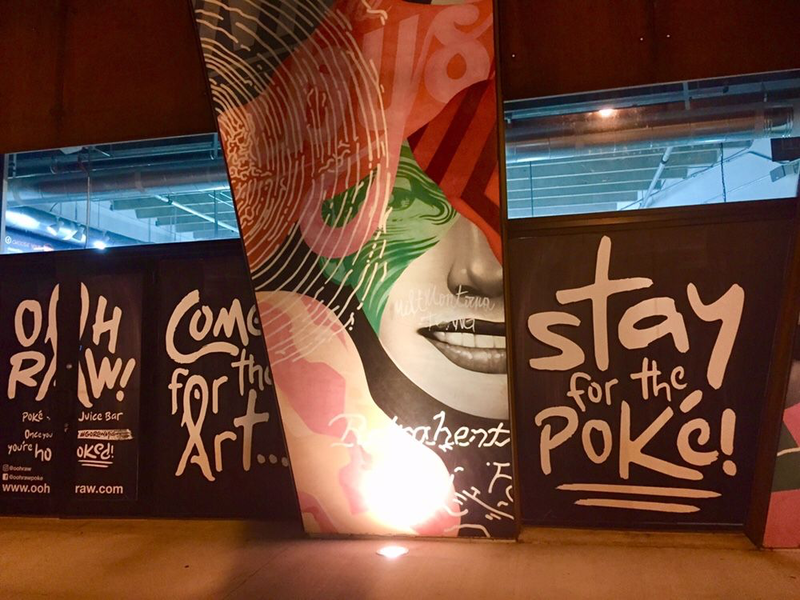 Because we want our restaurant to be a reasonable priced place, we made it one where you can have fun, hang out on Saturday night and grab a pokè bowl and a beer. 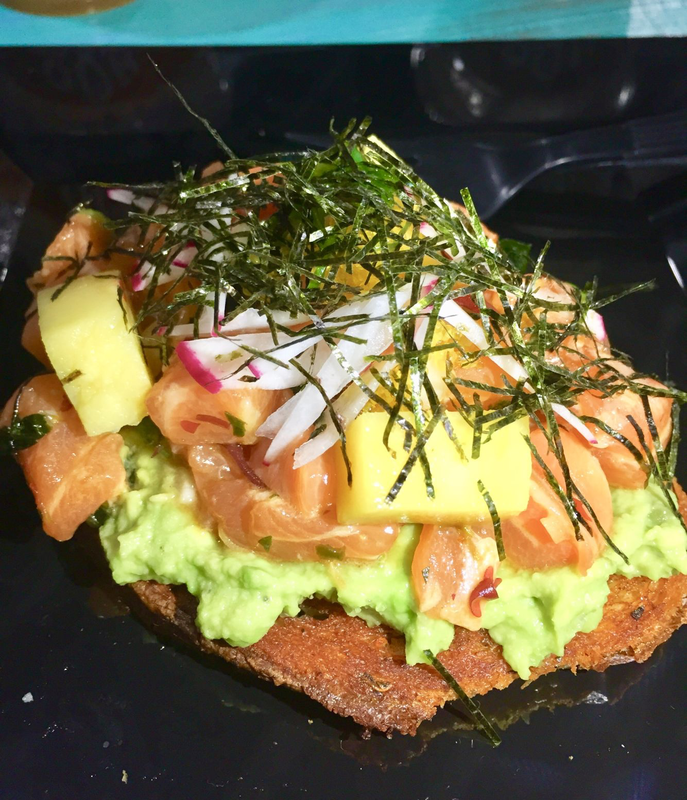 Or…come in on Sunday for brunch of Salmon avocado toast and rosè with the family. WIUM: We see you talk about the Ooh Raw! “Experience”, what exactly does that mean? Ooh Raw! Dustin: Ooh Raw! 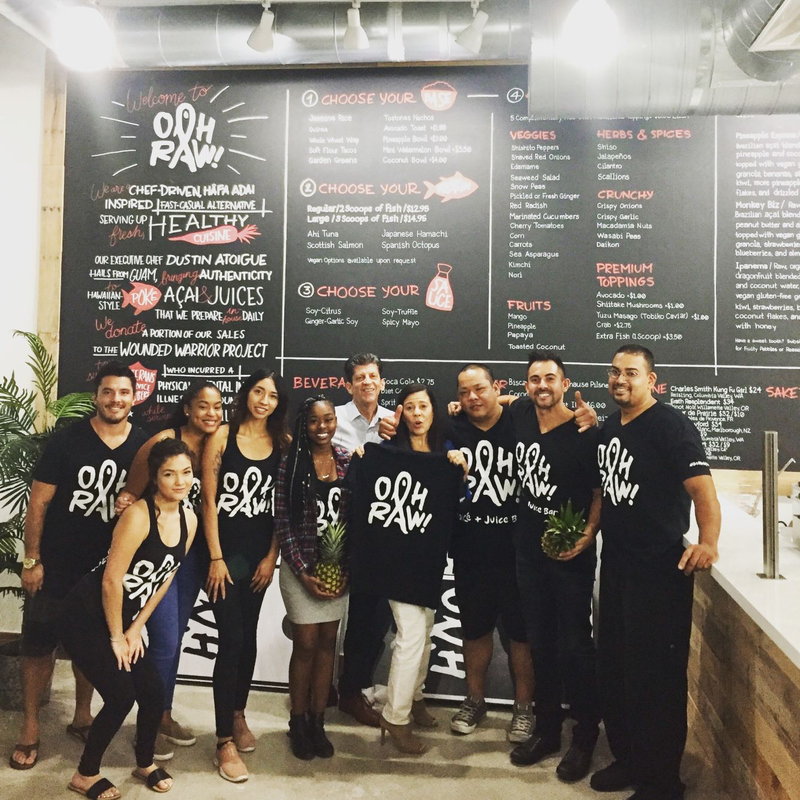 Is a Chef-driven, Hafa Adai-inspired casual dining alternative. Hafa Adai is a causal Hawaiin greeting, kind of like Aloha! We provide innovative, healthy and authentic Hawaiian style pokè. 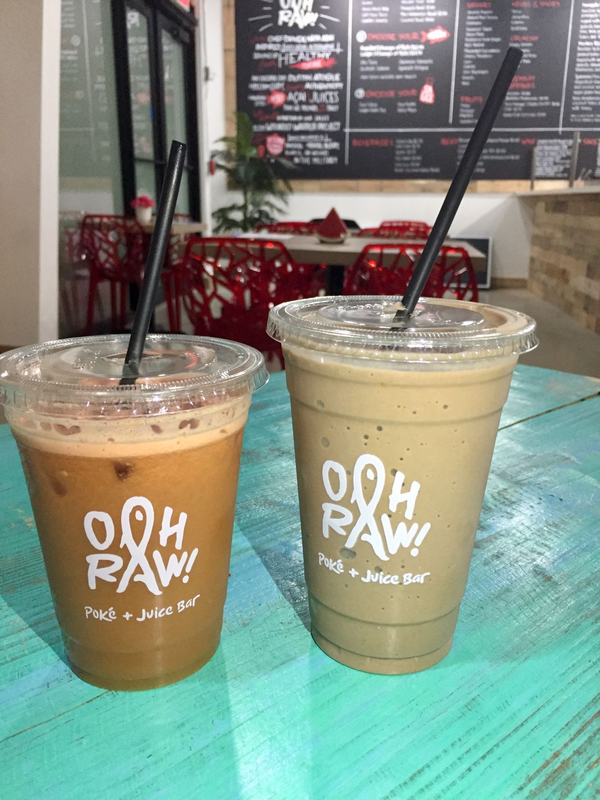 We’re about creating fun brunch alternatives and tropical protein packed smoothies and juices. Everything is prepared fresh daily in house. WIUM: Most importantly, our million dollar question is: when will you be opening? Ooh Raw! Dustin: We will have a grand opening very soon, and we will also see you at the SoBe Seafood Fest in October! We couldn’t be more excited to enjoy Chef Dustin’s cuisine on the sands of South Beach in a few short weeks. Getting a behind the scenes look at their Wynwood location’s opening was such a treat. If you’re into incredible, fresh seafood with authentic flavors…you better visit them! 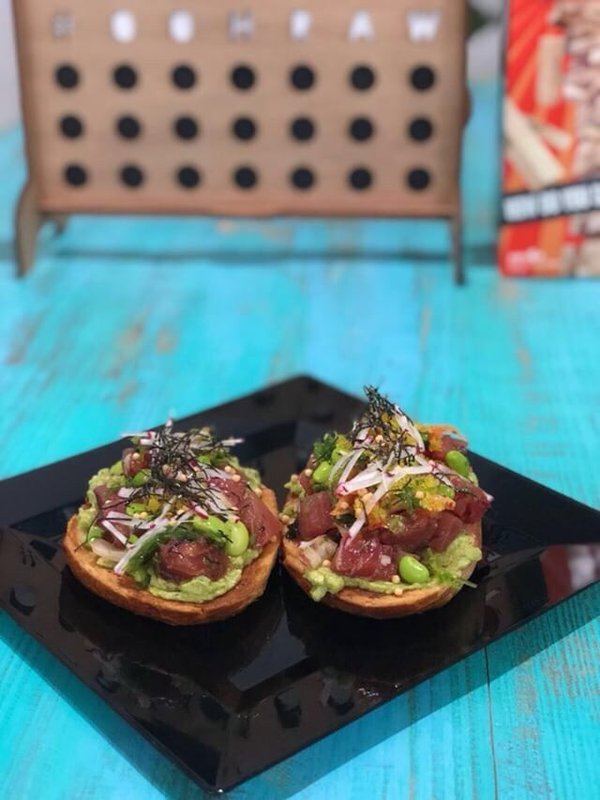 They join 20 other top-notch South Florida restaurants at the 6th annual South Beach Seafood Festival on Saturday, October 20th. Grab your tickets now and save 20% when you use code Whatisupmiami!